Hy-Pro provides cost-effective products and solutions for all of your hydraulic, lube oil, diesel, bio-fuels and other fluid contamination challenges. With products readily available for in-plant applications or on mobile equipment, Hy-Pro is the industry leader in providing the finest contamination control per ISO Cleanliness Specs when dirt, water, oxidized particles, or varnish are present in critical systems. Hy-Pro’s commitment to developing new products while continuously improving existing products is what makes Hy-Pro the industry leader. Coupled with outstanding technical field support, most Hy-Pro filter elements are readily available and can be manufactured to meet a standard 3 to 5 day delivery window. 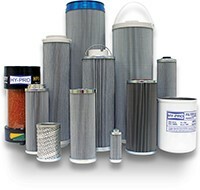 Hy-Pro offers over 250,000 DFE-rated (Dynamic Filter Efficiency specification) filter element upgrades for all major filter manufacturers and OEMs plus enhanced designs NSD (non-spark), Dynafuzz (stainless fiber media), lube specific, and water removal. 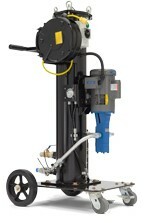 The CFU series portable Compact Filter Unit is designed for small gearboxes or reservoir conditioning and fluid transfer. 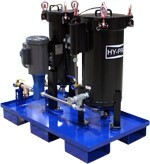 Hy-Pro FC filter carts feature two DFE rated Hy-Pro spin-on elements in series to condition hydraulic fluids from the first pass through the system. 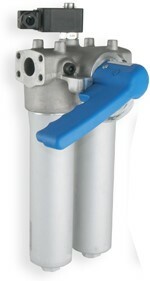 DFH high pressure duplex filter assemblies with operating pressures up to 3000 PSI. Hy-Pro DFN duplex operating pressures up to 888 PSI. 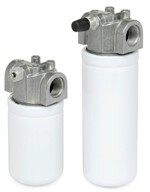 LF / LFM high flow filter assemblies feature Hy-Pro DFE rated coreless filter elements in single or multi-round configuration. 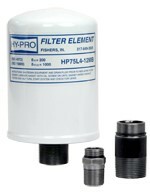 Hy-Pro MF3 medium pressure in-line filter with operating pressure up to 1200 PSI. 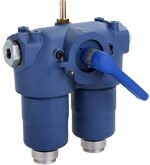 Low pressure spin-on assemblies with operating pressure to 200 PSI are available in single and dual head designs. Hy-Dry desiccant breathers control moisture by adsorption and particulate mechanically down to 1 micron from entering reservoirs during air exchange. Rugged designs are available high vibration mobile applications. 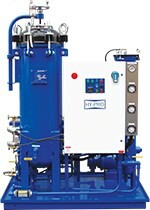 The Hy-Pro VUD series vacuum dehydrator optimizes the balance between heat, vacuum and process design to rapidly remove free, emulsified and dissolved water and gas. Vac-U-Dry dehydrators are also equipped with high efficiency filtration to remove particulate contamination. Applications include steel mill lube systems, turbine lube reservoirs, oil flushing and reclamation, bio-diesel polishing, paper machine lube oil, gearboxes, compressors and any other hydraulic or lube applications susceptible to water contamination in oil. Additional contamination control technologies can be integrated into VUD such as turbine oil varnish removal, phosphate ester acid scavenging and gross free water removal by coalesce for the ultimate oil purifier or turbine oil conditioner. Vac-U-Dry is available with a wide assortment of filter element media options to fit your specific application. The V1 mini vacuum dehydrator equipped with heater removes free and dissolved water from small reservoirs. This mini version of our VUD series machines is extremely portable and can operate on a 120VAC 1P 60Hz electrical circuit requiring < 20 Amps. Condition AW Hydraulic Oils with Sludge & Varnish Problems. 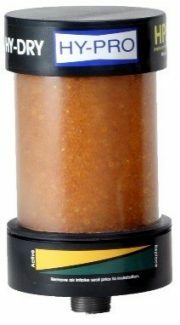 Ideal for AW type hydraulic fluids where sludge build-up is causing valve stiction. 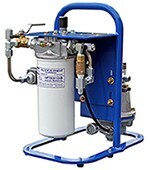 Ideal for Maintenance of Small Turbine Lube Oil & Compressor Reservoirs. Prevents varnish related servo valve failures on small gas turbines and compressor lube oil applications (i.e. gas transmission compressor units). 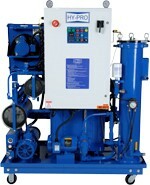 Hy-Pro COD Diesel Conditioning skids rapidly remove water from diesel fuel. 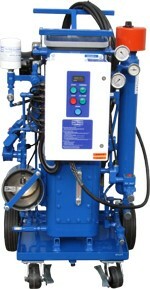 Will achieve > 99% single pass water removal efficiency and high efficiency particulate filtration.